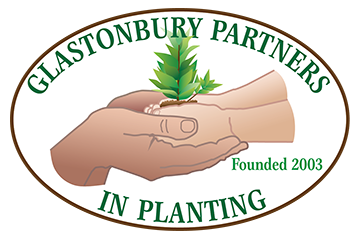 Glastonbury Partners in Planting, Inc. is made up of residents working together to make our town a more beautiful place to live. Our vision for Glastonbury is a community of green places in touch with its history and growing for the future. You can help by donating your time or money. 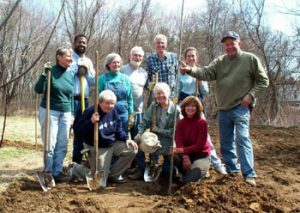 It is our mission to provide both labor and funds to support planting projects. There are three types of membership: Volunteer Member $25; Contributing Friend $50; and Sponsor $100 or more. Membership dues are collected annually and are treated as a family/household membership. 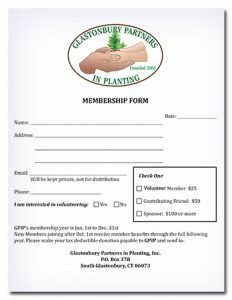 Members may mail a check with the form above.